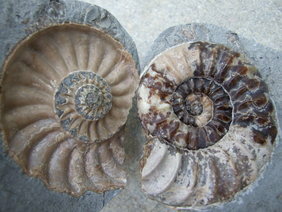 Fossils From Dorset`s World Heritage Coastline. Welcome To Brandon Lennon`s Website. I started preparing and selling fossils in the early 1980`s.This was at our shop we used to own called Lennon`s.It was set up by my parents.I now sell to Museums and other shops around the u.k from our lapidary workshop. We prepare fossils at our Lapidary Workshop.We have been online with our fossil selling website since the internet`s early days.I have continually worked to change the website throughout the many years. "What more could a modern-day fossil collector working in a World Heritage Site want than to live and work in the place where the earth`s history is being revealed every day? "Brandon Lennon Professional Fossil Collector ,Lyme Regis(My quote for the Guardian in association with visit England). 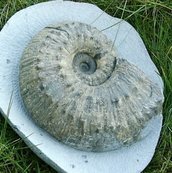 Book A Private Fossil Walk.